click arrow and hear show. 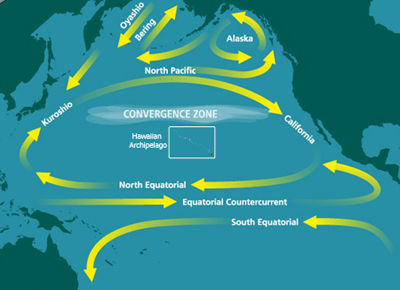 When I researched the world-wide radiation-extinction threat from the Fukashima nuclear plant meltdown and the spreading radiation that is already killing neonates in Berkeley as well as fish, birds and mammals in the Northern Pacific, I found the work of Keshe. 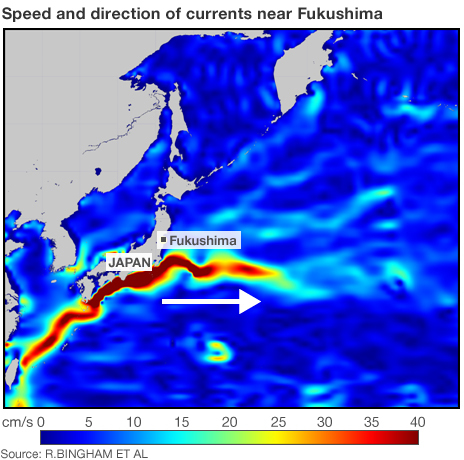 The problem of Fukashima ongoing radiation adds it to a soup of radiation in our atmosphere, a soup that keeps getting bigger and more dangerous to us, according to Lauren Monet, the world’s leading radiation expert. Our ionosphere still holds radiation released from the Sumerians’ ET bosses nuking of Sinai, Sodom, Gomorra and the Salt Sea, the nuclear destruction of Mohenjo Daro on the Indus, leaks at 3-Mile Island, testing in Nevada, Siberia, Bikini, North Korea, depleted uranium shells all over Iraq, Kuwait and Afganistan, and lots of nuclear events both on Earth and in space. The radiation adds up, works itself into an ever-fierce reaction. Now, every day Fukashima adds more to this monster. Alfred Webre and others indicate that the very cause of the tsunami that wrecked the Fukashima plant in Japan, may have been the HAARP laser technology, directed by ETs resolved to extinguish humanity. Oh what to do. Keshe says he can save us. He can immediately stop and clean up Fukashima’s fallout. He says he can solve Earth’s pollution, economic and political problem and give us free transport, unlimited energy, space and time travel as well. He can do all this with gravitation of astronomical bodies and a plasma reactor. One does not see wings, jet engines or propulsion rockets attached to the Earth for it to hold on to its position and to travel at thousands of Kilometers an hour for billions of years in its solar system. With the new understanding of the creation of gravitational fields forces as of planetary systems like the Earth, the scientific intellect and the knowledge of the man has reached the level that he understands this fundamental principle of creation of universal motion and now we have replicated the technology of the universe in a plasma reactor for its applications in space travel. This new method of using the interaction of both gravitational and magnetic fields of the reactor in respect to other celestial objects similar fields to attain motion and positioning, to create motion, energy and food exactly as in the universal objects as on the Earth and the Sun and without burning of any matter as in the universe and we call this new method of travels of using magnetic fields an spaceship program. The Keshe Foundation is an independent non-profit and non-religious organization founded by nuclear engineer M.T. Keshe that aims to develop new scientific knowledge, new technologies and new solutions to major global problems like famine, water shortage, lack of electrical power supply, climate change, and disease, through the use of specially developed plasma reactors which will also give Mankind the real freedom to travel in deep Space. 2014: The Year that the new Technology will change the course of humanity and it will bring untold changes. At Keshe Foundation, we make 2014, the year that advanced technologies will be mass-released to public that they can show their power to create conditions that change through all layers of human society will be achieved. We shall put an end to hunger and wars, through the release of everything in our possession, this be it scientifically, or technically to every man, be it scientists or world governments around the world in equal measure. In 2014, the Keshe Foundation through its Institute shall deliver to mankind as a whole the technology, which the mankind has been waiting and praying for from the beginning of time. With delivery of an advance technology, unknown up to now, we shall put an end to hunger, wars. We shall make sure that all men will have enough to attain sustenance and shelter that; there shall be no need for suffering. We give and facilitate the release of technology to the men of greed that they can produce enough gold and precious metals that they could wish for, that eventually they will shy away even to show any interest in possessing such materials. In opening the space in 2014 in its true sense, we would bring in more precious materials and sciences unknown to man that these new materials and knowledge will be used for forging tools of lasting peace on this planet. The 2014 will be the beginning of the new era, the point of change for the humanity from what has been the same on this planet from the time of Adam. We make one promise to the world leaders and that is, change your and your nations ways or your citizens shall change it for you through the delivery and application of the new technology and its use. No man shall and from this year on will be allowed to take up arms to fight and no man shall be left hungry and homeless on this planet because of wars. Use your arm manufacturing factories to deliver homes and food to the humanity, which up to now you have being developing tools of war in them, and you have instigated, unwanted wars because of them. As the man who has the knowledge of universe at his disposal, I shall use every knowledge and power available to me to bring these factories, which you have erected for making tools of war and their products to standstill with stroke of a pen. The promises of the change, as has been in the Holly books of the past, which the man has been waiting for centuries for shall be fulfilled. Our program for this year is set to be. We shall put an end first and foremost to the problem at Fukushima in January. In February, we make all efforts to create the environment to stop the production of arms across the world, through release of technologies, which makes the present advance aircraft, missiles, and nuclear weapons irrelevant and ancient. In Jun, we will deliver technologies, which can deliver sustenance’s to world population totally free of any cost through the release of new systems that can change air into sustainable food and energy supply without a need for farming land that no child will sleep with hunger. By September, we will deliver the technology for every man to be protected from the natural elements like cold and rain without being dependent on other man handout of tents. We shall make delivery of clean water at any point on earth free of charge a reality by releasing the already developed technologies. By the end of December we will make sure, that there are no grounds for disruption for space travels on regular bases from all the nations on this planet that all shall harvest the reaches of the universe collectively and equally. Those who have doubts about our work, be ready to become soldiers of the peace and unity before the end of this year. In his interview, Mr. Keshe notes that world peace among nations can actually be actually a byproduct of his advanced technology. Keshe technology, which is based on electromagnetic fields, reportedly can be used for a diversity of applications, from inexpensive and rapid intergalactic and interplanetary space travel, inexpensive and rapid air and automobile travel on Earth, medical cure applications, food applications such as creating water and food from air. The Keshe Foundation has developed a one-paragraph World Peace Treaty it is asking all world leaders to sign, both as individuals and as heads of state of their respective nations. Mr. Keshe is also asking that “all citizens of the world” sign the World Peace Treaty as a shift in commitment and consciousness to abandon war as a human activity on Earth. To this end, Mr. Keshe is organizing a World Peace Conference process, to commence March 21, 2013. The starting venue of this process may be Italy, as Mr. Keshe describes the support the World Peace Treaty is receiving among members of the Italian Parliament in his ExopoliticsTV interview. As part of the continuing process, Mr. Keshe invites all citizens of the world to sign the World Peace Treaty on April 21, 2013. Mr. Keshe urges those who wish to more actively support the process to take copies of the Treaty to foreign embassies and urge their governments to adopt the World Peace Treaty. Mr. Keshe states in his ExopoliticsTV interview that the Obama White House has a copy of the World Peace Treaty, as does the government of Iran. A great deception seems to always be in play from the circles of those elite whom think ruling the world there destiny. M.T. KESHE, a nuclear engineer, has for 5 years now perfected the nearly limitless energy supply,generators, and much more. Imagine food that never lived! Magnetically to attract from the very atmosphere the amino acids and lipids to make any type of protein, food product. Scan a steak and digitally make one that never lived or died, but still is nutritious, even more so than the sacrificed life of the cow. Medicine, Space travel, Mon rail levitation craft, etc, the list of applications is endless. Dont allow the Barons of resource pandering to pimp you out. The Keshe reactor can magnetize a surface or substance for anything. It can collect, or deflect electrons, or de- contaminants water, can make CO2 as a solid at room temperature. Keshe’s technolog has applications in science and from nutrition, to space travel for pennies. False scarcity, and manipulation have ruined world economies, in part at least, in sanity this can end, but the public press must follow up and keep common man aware of the massive changes. William Hal Anders Jr.
Keshe says his technology will bring peace to all governments and that laws dissolved pass way without anarchy or tyranny. You’ll be able to get to mars 2 to 3 weeks. PEACE CONFERENCE UPDATE: ExopoliticsTV has just been informed that Keshe is planning to have Iran as the venue for the World Peace Treaty conference. “Pope Francis says the Commandment “Thou shalt not kill,” applies to our killer economic system. The system generates exclusion and inequality. It can kills us all. He demands experts and leaders fix the economy and save our ecology. We must, he says, defend the common good. We must stop letting Market Mind mold us. Francis damns the money system–buy and sell regardless of common good. He says Market-Mind spawned a new tyranny. Market mind right now embeds evil in our lives. Market-Mind can kill us all. But we can get over Market-mind. “Abandon customs, rules and structures; they can make you into a mummy, said the Pontiff.